Strangely, National Fruitcake Day is Dec. 27. Strange, because one would assume it would be celebrated before Christmas, because that’s its time to shine. Fruitcake doesn’t have the best reputation. But it’s time to give the holiday staple a second chance. Created by the food experts at Hormel Foods, this upgrade to the traditional recipe is complete with the requisite fruits and nuts and includes ingredients like candied bacon and Justin’s PB cups that make for a delicious, playful and also attractive holiday dessert. Plus, this fruitcake recipe is a lot less dense than the traditional dessert. 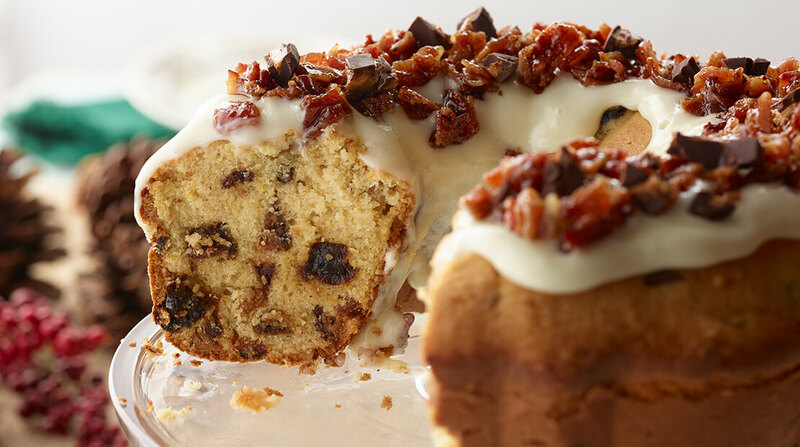 It’s Time to Give Fruitcake Another Chance If bacon can save fruitcake, maybe it really can do anything.